The smartphone comes with a price tag of Rs 7,999 and it will be exclusively available on Flipkart starting from May 30. Mobiistar, the Vietnam-based smartphone company looking to create a splash in india with value phones, has just launched its first offering. Dubbed as Mobiistar XQ Dual, the smartphone comes with a price tag of Rs 7,999 and it will be exclusively available on Flipkart starting from May 30. 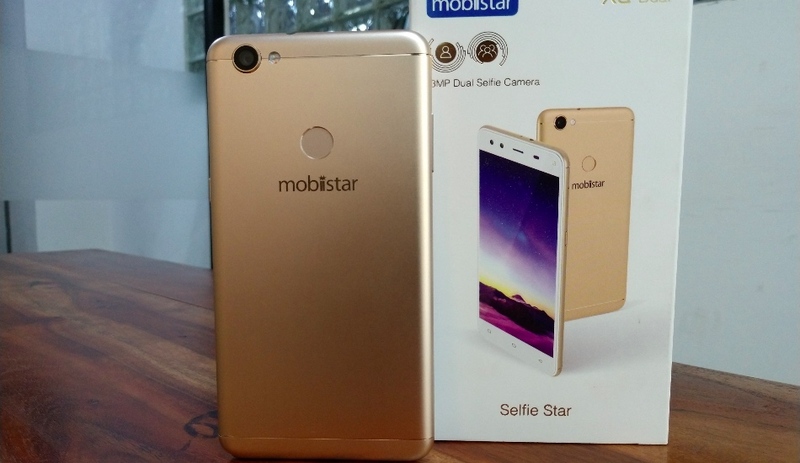 With this, Mobiistar is trying to capture the heart of Indian smartphone market, in the selfie centristic budget segment. That being said let's find out does the brand deliver's what it promises? The XQ Dual has a design from 2016, the smartphone features a 16:9 screen ratio rather than the latest trend of 18:9. It comes with a metallic back and round-edged plastic caps at the top and bottom for better network connectivity. As far as the feel of the handset is concerned, the weight of the device is a significant 160g which will probably felt when you hold it for a long time and might be even more noticeable if you text a lot. Further, if you wish to know more about the device’s appearance, then do not forget to read our First Impression of Mobiistar XQ Dual where we have covered this topic in detail. In the display, the smartphone features a 5.5-inch Full HD display with the screen resolution of 1920x1080 pixel. The XQ Dual offers some impressive colour outputs along with the sharp text appearance. In terms of viewing angles, the device performed well, without any issues. The display is quite bright, though it is a bit reflective, which hampers the outdoor visibility. 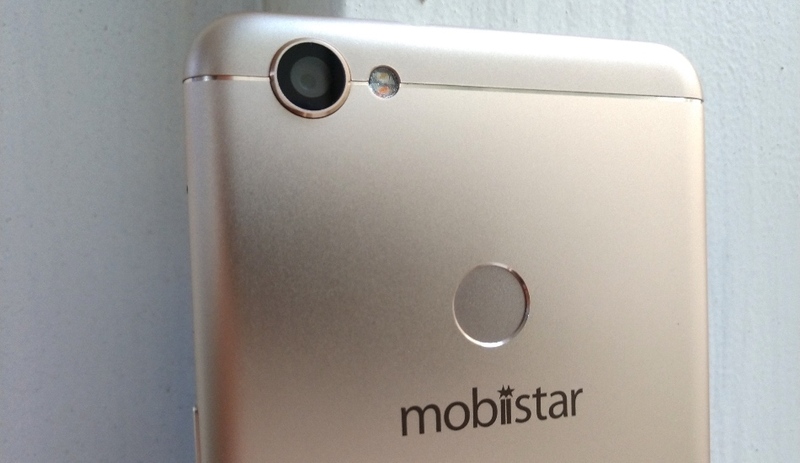 The Mobiistar XQ Dual is powered by the Qualcomm Snapdragon 430 processor and Adreno 505 GPU. Based on the 28Nm (nanometer) architecture, the chipset was first introduced in mid-2016, which makes it a dated processor. The smartphone is backed up by 3GB of RAM and 32GB of internal storage, which is further expandable up to 128GB via micro-SD card. Moving to the performance, during our review period we found out that the smartphone was easily able to handle most of the day-to-day tasks of using 10 primary applications including the social media, banking, music and videos streaming along. However, once we hit the mark of 24 applications, the handset starts to lag especially during the multitasking process. As far as gaming is concerned, after selecting the lowest suggested resolution of the heavy games like Asphalt 8: Airborne and the recently launched PUBG, Mobile was leaving some trails behind. However, casual games (Candy Crush, Ludo King and Subway Surfers) were like a piece of cake with no signs of lagging and freezing. Camera: Let me take a Selfie! This finally is where the XQ Dual hopes to hook the Indian buyer. The XQ Dual features a dual camera setup of 13-megapixel (f/2.0) + 8-megapixel (f/2.2, wide-angle) at the front. While the rear has a single 13-megapixel sensor with an aperture of f/2.0 and dual-tone LED flash. Further, the camera UI is really simple and hosts various features like Phase detection, autofocus, 7 level Face Beauty, Professional Mode, Camera Filter, HDR and Night mode. 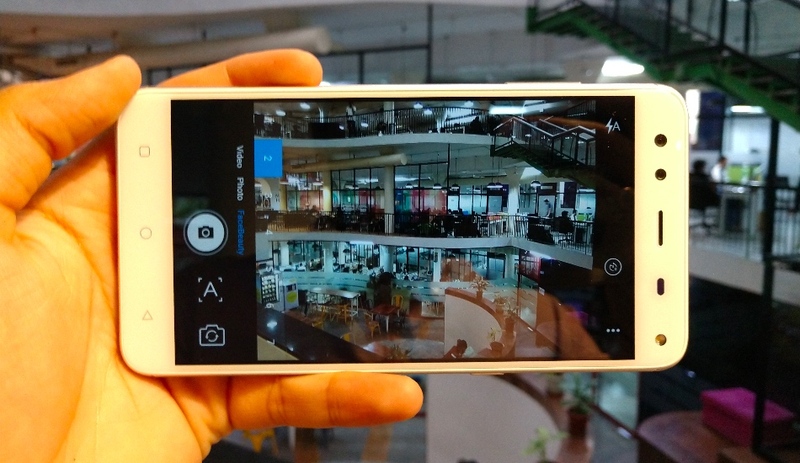 Now moving the camera performance, the rear camera of the smartphone shows promising results. The photo definitely looks sharper, detailed including the textures with rough edges. Further, being captured under the bright sunlight the colours looks nice, however, during indoor conditions the pictures were noticed to have lots of grains and noise. In terms of selfies, the Mobiistar XQ Dual can be considered as the best smartphone under the Rs 10,000 bracket. The selfies clicked under good lighting conditions were sharp and real. 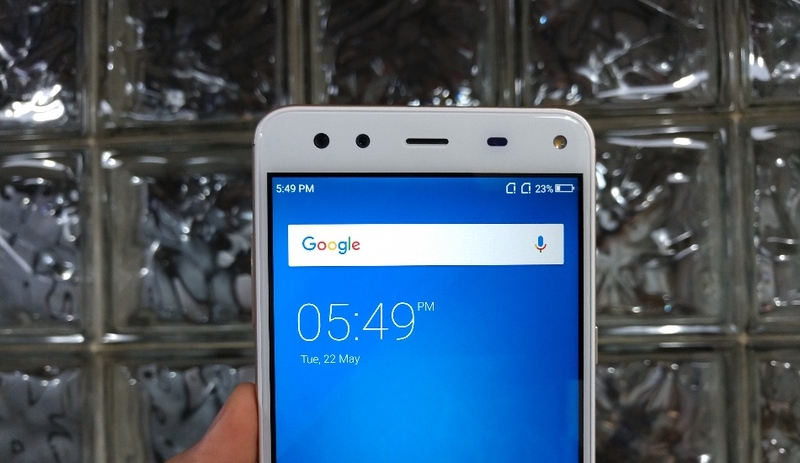 Though the brand has introduced dual-camera, still it does not comes with the bokeh effect for selfies. The wide-angle 8-megapixel only allows the person to capture a big group of friends without using a selfie stick. The camera is able to focus the object clearly and highlights it with ease, though in indoor conditions, it is not able to properly outlines the subject. Also, the selfie flash helps a little in clicking the photos in ultra-low light conditions. The pictures were taken from the smartphone’s primary camera also impressed us a lot, especially during the outdoor conditions. While indoor shorts were missing the much need coverage, and low-light performance is not that great. The images were spotted to get lots of noises and graininess, which kind of spoils the whole mood. Battery: Will it last throughout the day? Mobiistar XQ Dual has a 3000 mAh battery, which is again a let down after the processor. It barely lasts a full day after normal use, which includes music streaming, surfing the net, using social media, chatting on WhatsApp and taking calls. However, if you wish to use the device's Smart Power Saving and Ultra Power Saving battery modes, then you will easily be able to last you throughout the day or even more than that. It is worth noting, that the modes will be found in the setting app under the battery menu, which will restrict your data running in the background and will save power. Further, if are a heavy user and do not want to compromise your performance experience then don’t forget to carry a power bank or wall charger with you. In our experience, the phone took around 2.5 hours to charge completely from zero to 100 percent with its wall charger. To conclude, if your camera lover, especially who clicks selfies a lot then this is the best smartphone for you under the Rs 10,000 price segment. However, if you want to stay with the trend of 18:9 screen ratio, improved battery and faster performance then Xiaomi Redmi 5 will be a better option for you. As far as the competition is concerned, the phones will face a stiff competition with the iVooMi i1s, Tecno Camon I and Infinix Hot S3.